Pinball Magazine is a yearly publication honouring the world of pinball games, designers, players, collectors, operators, and history, in all its colourful glory. It’s a bit misleading to call this a magazine. 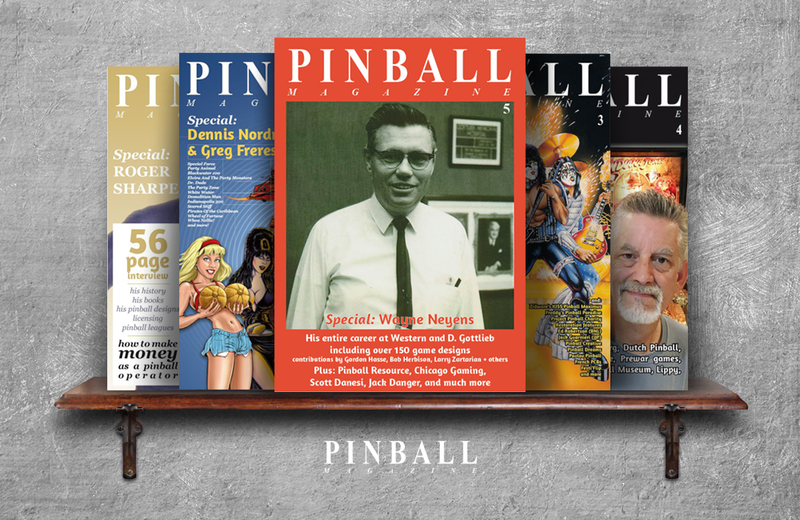 With only one issue published per year and the type of in-depth features most traditional magazines eschew – a 56-page interview with industry veteran Roger Sharpe, is one example – Pinball Magazine is more of a coffee table book than it is a magazine. Die-hard pinball fans have much to look forward to with the release of each issue. The magazine effectively straddles the line that separates aficionados from casual players; thoughtfully written articles offer an insider’s perspective of the pinball industry while veteran anecdotes engage those who possess only a moderate interest in the pastime. Pinball Magazine is a high-quality publication that quickly establishes its value. The magazine is a conversation starter; one that is sure to lead to exchanges about favourite games, time spent with friends, and high scores. Part history primer, part exposé, The Real Toy Story is a literary roller-coaster ride. Author Eric Clark offers up a robust, hard-hitting look at the toy industry circa 2007.